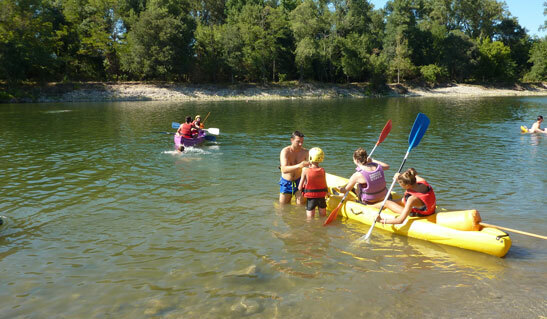 Campsite Ardèche » Activities for children and adults! 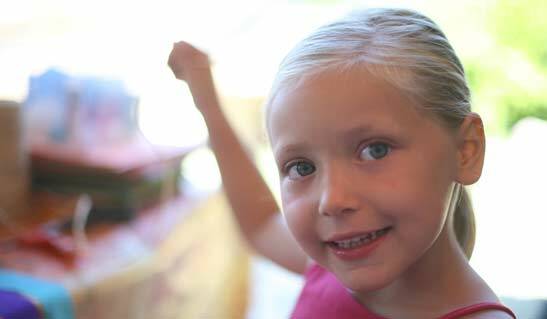 Activities for children and adults! 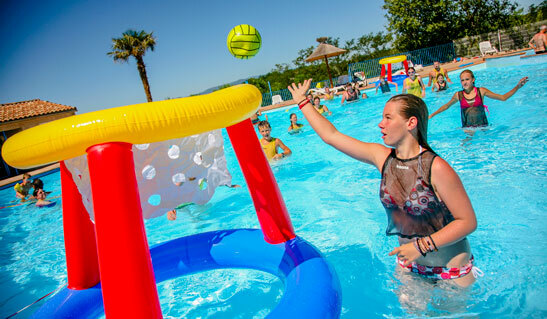 Come to La Chapoulière campsite to rediscover the pleasures of simple moments! Spend the day lazing by the river or take part in organised activities or themed nights we put on in the Summer. There are activities for everyone to enjoy their holiday. We have a playground for intrepid children and areas for team games all around the campsite, including a pétanque ground, ping-pong tables, a city stadium, etc. Take part in our pétanque contests or challenge your friends and family to canoe jousts on the river. 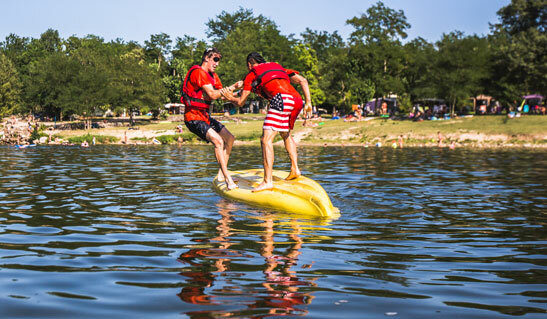 You can also book various outdoor activities at our campsite reception. 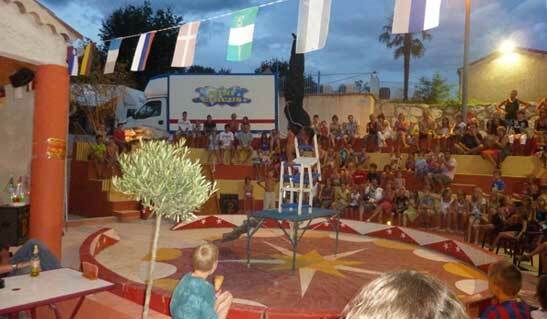 Our campsite has several game areas, for children and adults. Children can play on the slide, swing, roundabout, and the Corocord climbing frame. This playground will definitely be one of your favourite places to spend time with your family! Sports enthusiasts will likely spend a lot of their time in the city stadium playing team sports. We also provide ping pong tables. Didn’t bring a ping pong racket? Not to worry! Our bar will serve you well-earned refreshments in between two rounds of spontaneous contests. As warm afternoon temperatures cool down for the evening, come down to our pétanque grounds to play our national sport! Whether you’re a pool or a river person, we can offer just what you’re looking for! Enjoy our river beach to laze around in the sun. 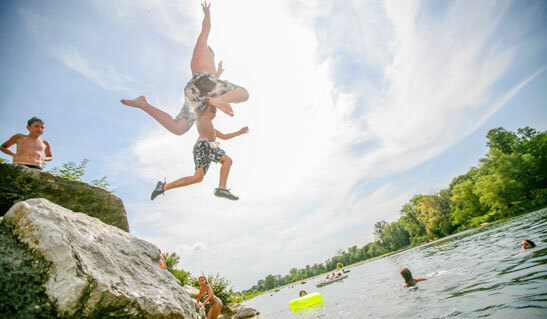 Slide around in river rapids, jump off rocks or swim in refreshing waters – the river shore has something to suit all tastes. Every morning in the high season, meet us at the pool for an aquafitness class with one of our sports entertainers. The campsite has a paddling pool and a jacuzzi, and provides sunbeds for all. 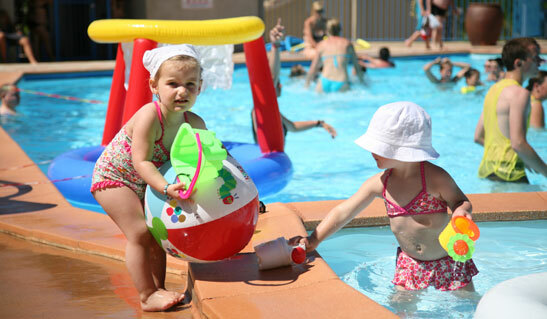 For hygiene and safety reasons, loose/long swimming trunks are not allowed, and children under 7 cannot access to the pool without being accompanied by an adult. For those who want to keep in good shape even on holiday, our well-being facilities include a free-access fitness centre for all those aged 18 years and over. It is equipped with various machines, including cardio and body-building apparatus. For team sports, whether organised by our teams or not, meet at the city stadium! For those who prefer outdoor sports, our campsite is located close to a greenway you can use for morning jogging or bike rides! We take care of you at our campsite! Enjoy our spa for a moment of pampering. Relax during a beauty treatment, massage or a hairdressing session. Unwind in our spa-hammam whilst listening to soothing music in a relaxing atmosphere. Feel free to make an appointment before your arrival by phoning +33(0)787575192. 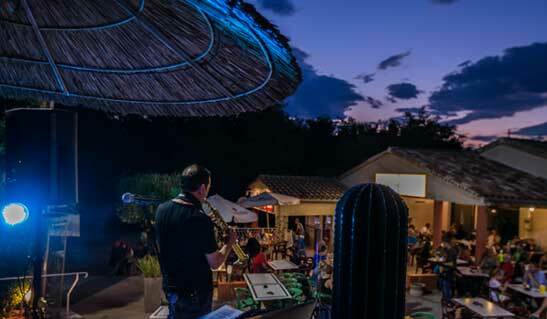 Come and discover our beautiful Ardèche region in the best possible way – by making the most of the outdoors! For our guests, we’ve chosen the best partners and service providers. And to simplify your holidays, you can book river canoeing outings (8 to 32 km trips), canyoning, caving, stand up paddle and horse riding directly from Reception. Just come to Reception before 5 pm the evening before your outing and book your activity according to spaces available.